The Racine Police Department serves the City of Racine in Southeastern Wisconsin with a population of over 81,000 people. We are a department that has adopted the philosophy of Community Orientated Policing and is a recognized leader in this area. Our Mission is to deliver the best law enforcement and safety services to the citizens of Racine. posted on Friday, August 25, 2017. The Racine Police Department is now accepting Online Municipal Court Citation payments. Online Parking Ticket Payment now available! posted on Thursday, June 30, 2016. The Racine Police Department is now accepting Online Parking Ticket payments. posted on Monday, November 23, 2015. 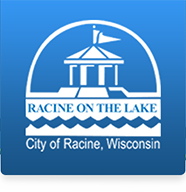 City of Racine response to Sunday's editorial about recent Fire/EMS Decision. Trick or Treat for the City of Racine will be Saturday, October 31st 4 pm - 7 pm. Did you miss our call when we called to remind residents about trash pickup or important meetings in your area? City did not violate open records law, justices rule. Welcome to the new Police News and Events page! posted on Friday, November 28, 2014. This is where the Racine Police Department will post the latest news and events for the department.